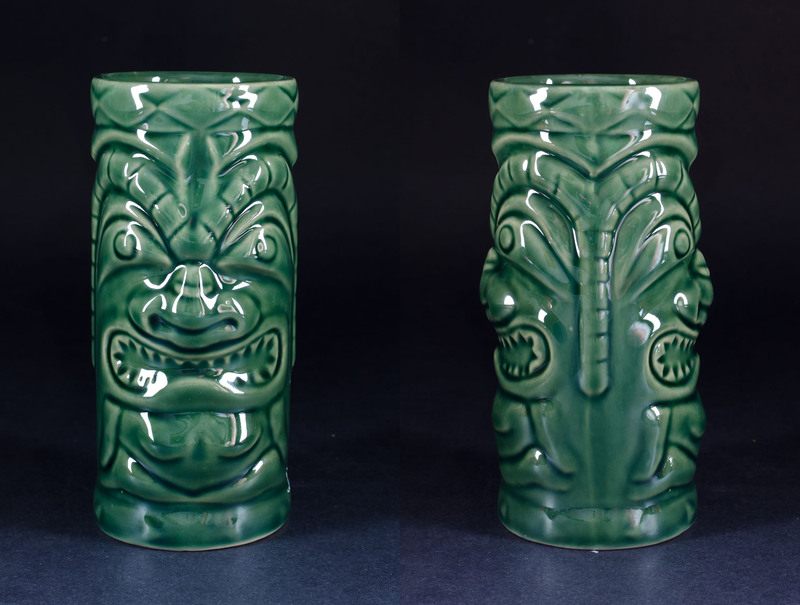 Regarding Tiki Mugs: the Tikis have been photographed from multiple angles (Tiki “Mug Shots,” ha-ha!) 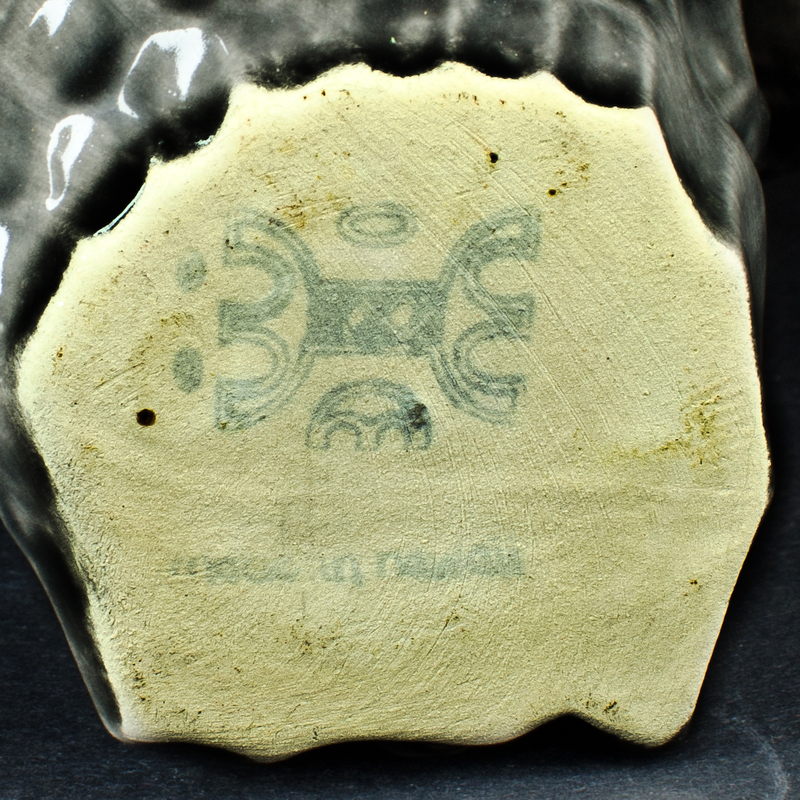 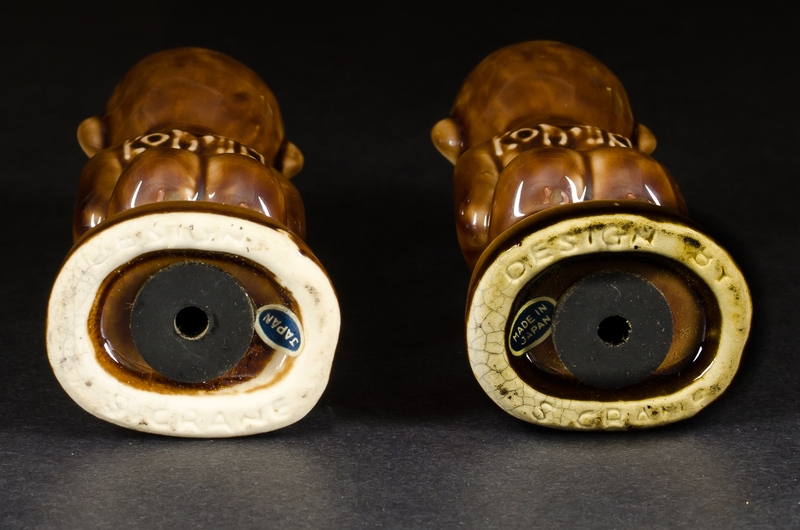 to give an idea of their sculptural nature and make identification easier. 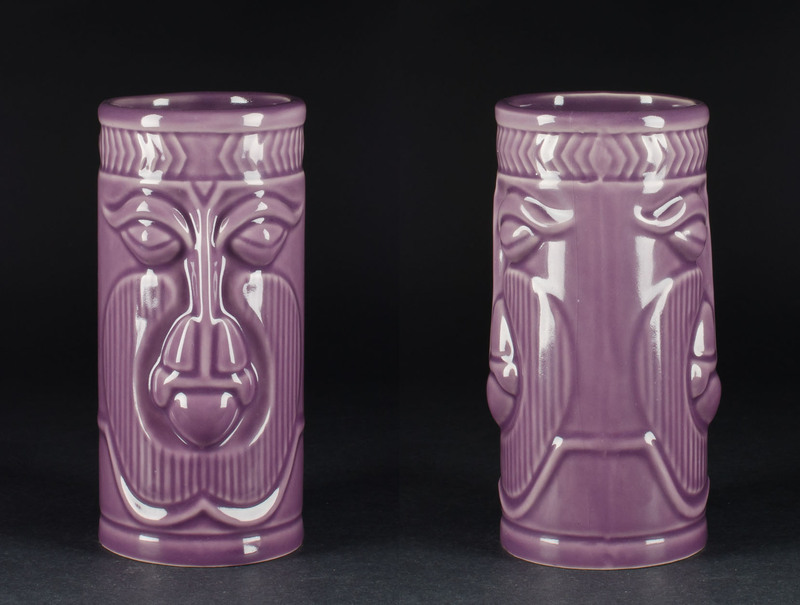 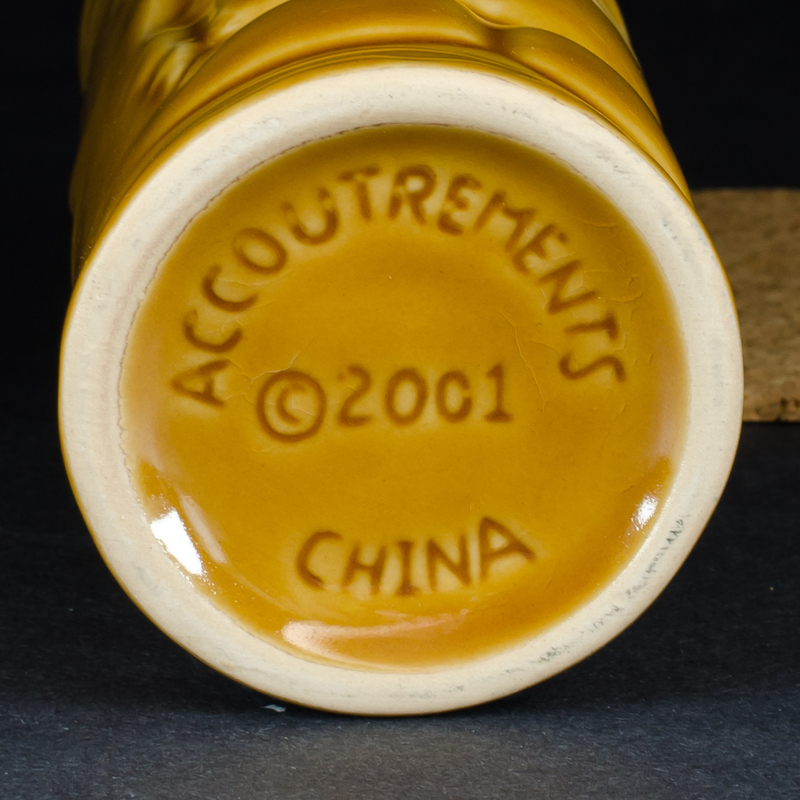 Speckled Fog Cutter, Trader Vic’s | 25 ounces | Possibly Redwing Potteries | 1963 – ? 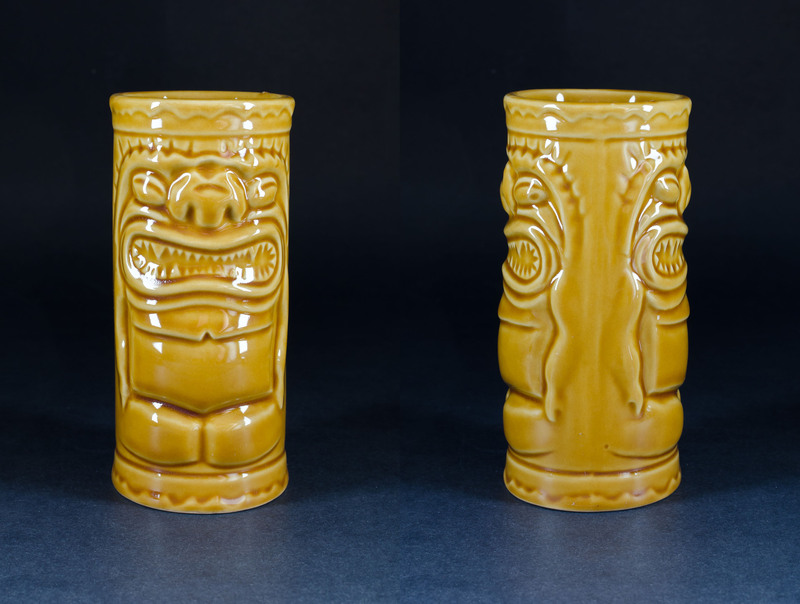 Samoan/White/Unspeckled Fog Cutter, Trader Vic’s | 25 oz. 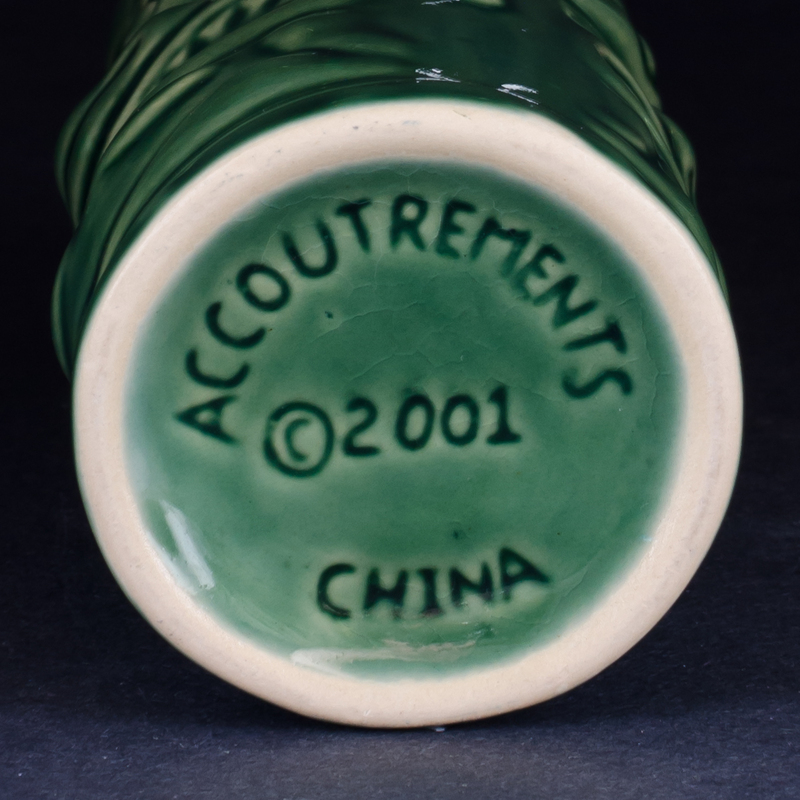 | 1993 – ? 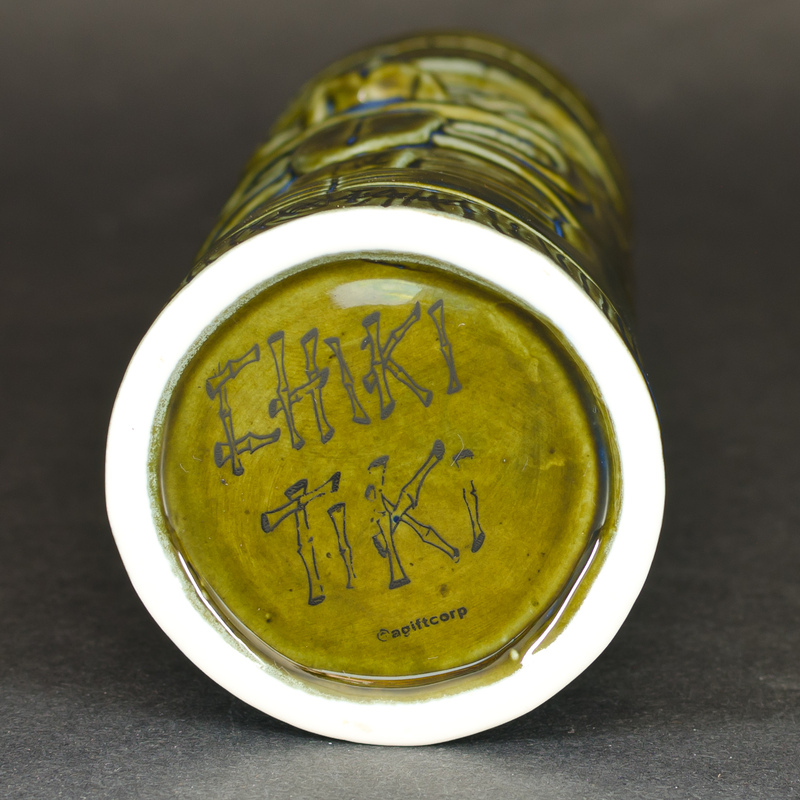 “Angst” Tiki | Blue-Green, marked “St. 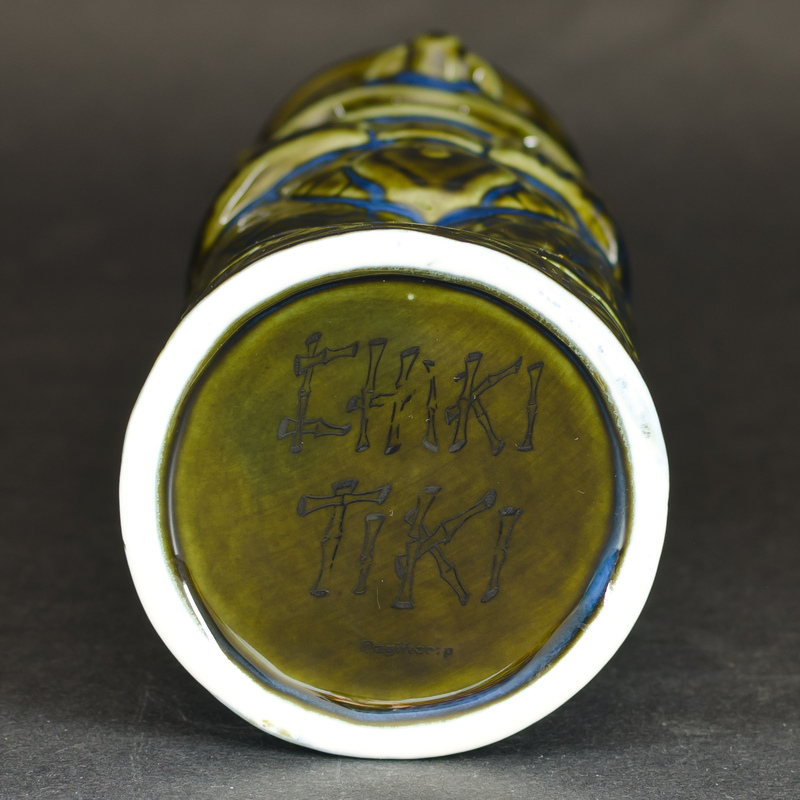 Simons Island, Georgia” | Chiki Tiki Line by American Gift Corp.
“Morning After” Tiki | Green-Blue, marked “Tybee Island” | Chiki Tiki Line by American Gift Corp.